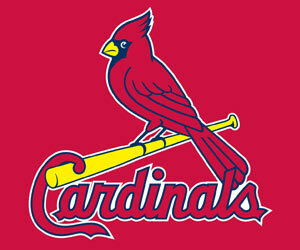 Man, what can you say about the St. Louis Cardinals. I mean, what business do they have being in the playoffs – let alone make it to the National League Championship Series. I mean these are the same Cardinals who were a walking MASH unit for most of the year. Chris Carpenter, the ace of the pitching staff, didn’t start a regular season game. And of course, they lost Albert Pujols to the Los Angeles Angels last offseason. Yet here they are, sitting with a 1-0 lead over the San Francisco Giants in the NLCS. I mean I have to ask the question again – HOW? I’ll tell you how: grit and heart. How else would you explain a team who lost so much over the season AND off-season making it this far? A team without grit and heart would not have scored four runs when down to its last strike against the Washington Nationals in the deciding game. That same team would not have rallied against the Atlanta Braves in the wild-card round. So while the more popular glamorous teams are out (the Braves, Nationals and Cincinnati Reds), those pesky Cardinals are still around. And the brass at Major League Baseball headquarters are none too happy about it.